Not age, miles per hour! A reported sighting of Pine Grosbeaks sent us on a birding adventure throughout the Methow Valley. Eighty miles in five hours harvested a great list of sightings. Driving down the highway at 60 mph looking for birds is tricky, so the passenger is the spotter. Any bird that appears out of the ordinary prompts a pull over for further investigation. Binoculars are a must, a good spotting scope comes in very handy. The usual inhabitants garnish a comment not a pullover. 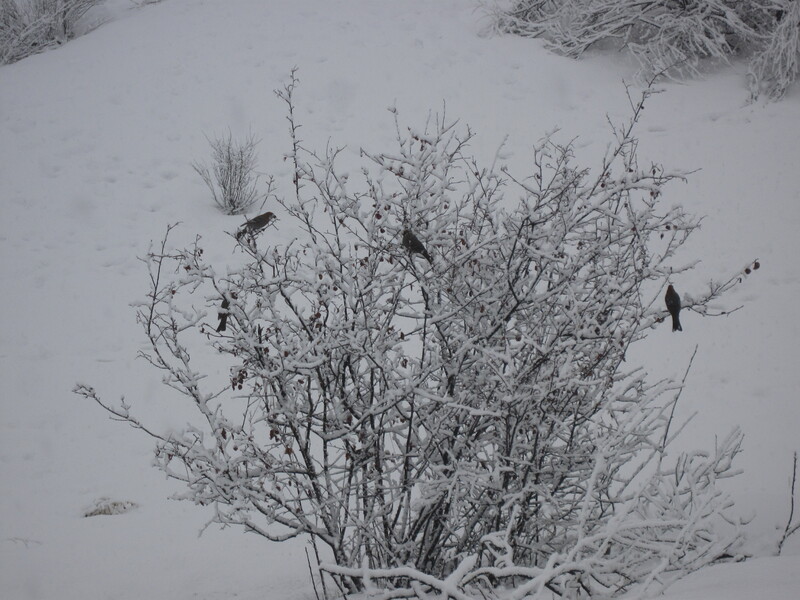 In the Methow these would be crows, ravens, magpies, juncos, quail and flickers. And on our 80 mile romp, we saw many of each. With practice your eye instantly pattern matches bird silhouettes to ones you know and ones that are different. It’s the different ones you stop to check out. The talk is about the bird you would like to see. 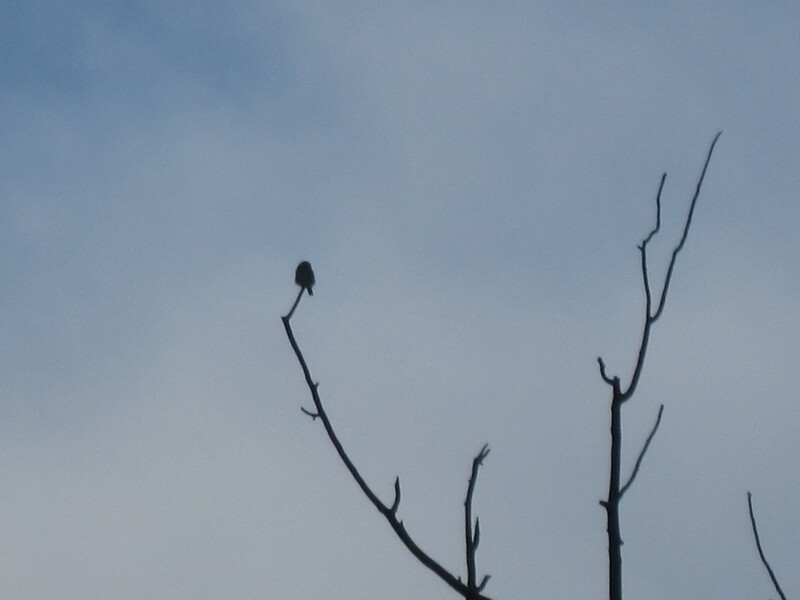 We were chatting about the Northern Shrike and amazingly we saw two. Scattered among the Red-tailed Hawk sightings were two beautiful Rough-legged Hawks. Right at the reported spot, we sighted a dozen Pine Grosbeaks. Males, females and juveniles, all hanging out in a big cottonwood tree. We do not see them often and they were quite the treat. But the fun was not over. A funny shape perched on the top of a branch got our attention. Northern Pygmy Owl! The dogs were getting bored so we stopped for a hike. Another Northern Pygmy Owl sighting. We were flabbergasted at seeing two of these tiny owls in one trip. Clinging to a fir-tree was a White Breasted Nuthatch. Cute beyond cute. 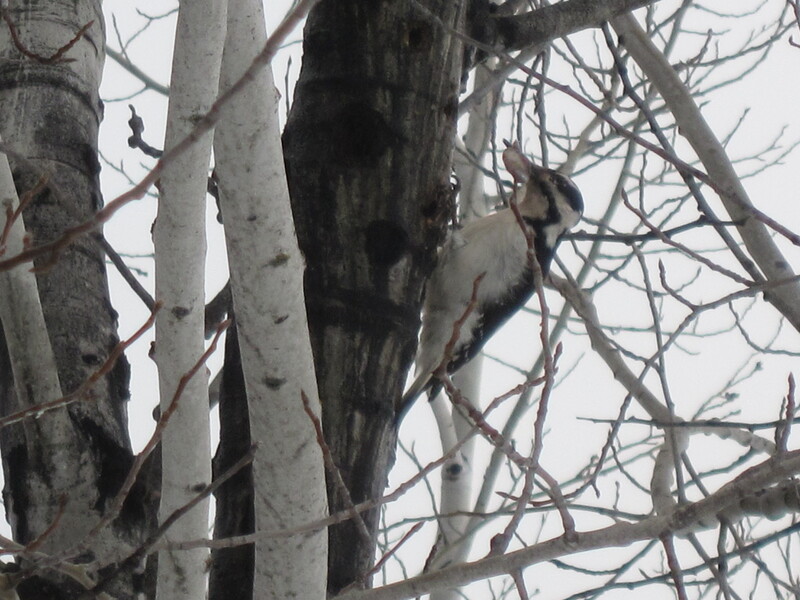 We heard a pounding noise and just around the bend was a Hairy Woodpecker working an Aspen tree for bugs. On the return trip home we spotted a flock of three dozen wild turkeys and two Cooper Hawks. One was a juvenile female and the second was an adult male. Both hunting orchard mice from fence posts. 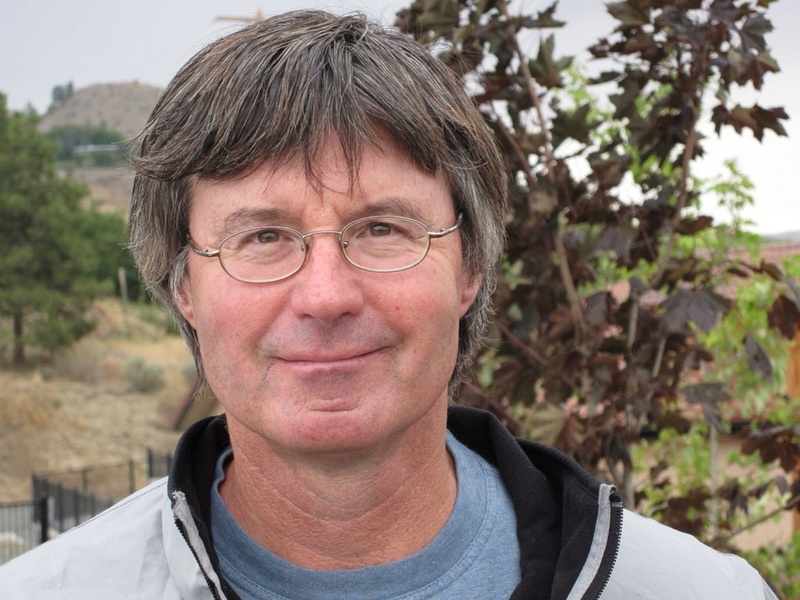 Even as I write this story, the adventure has not ended. Cindy calls out from the living room “What are those birds in the service berry bush?” I didn’t believe it, turns out they were … Pine Grosbeaks.